Along with the Spider-Man figures, I also managed to snag Funko Hikari Astro Boy. 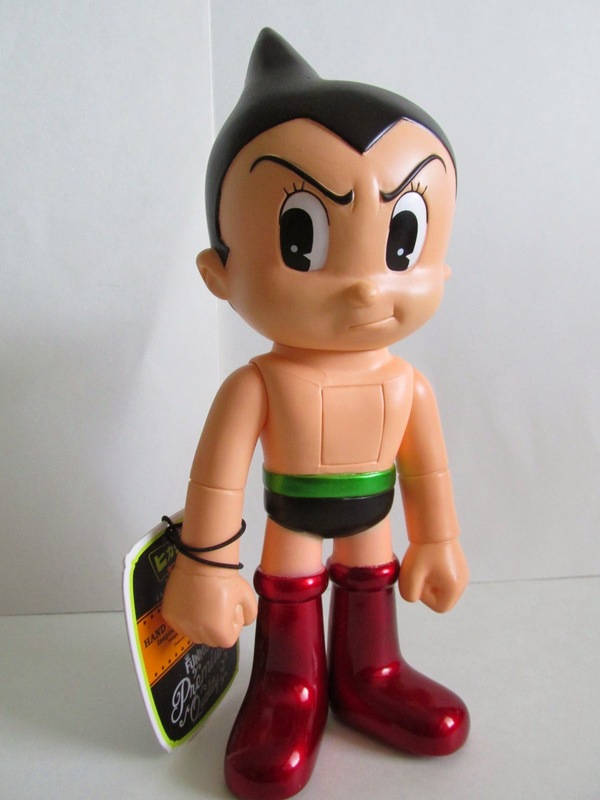 This figure seems a little hard to track down, and I’m guessing because this figure is essentially the classic looking Astro Boy. 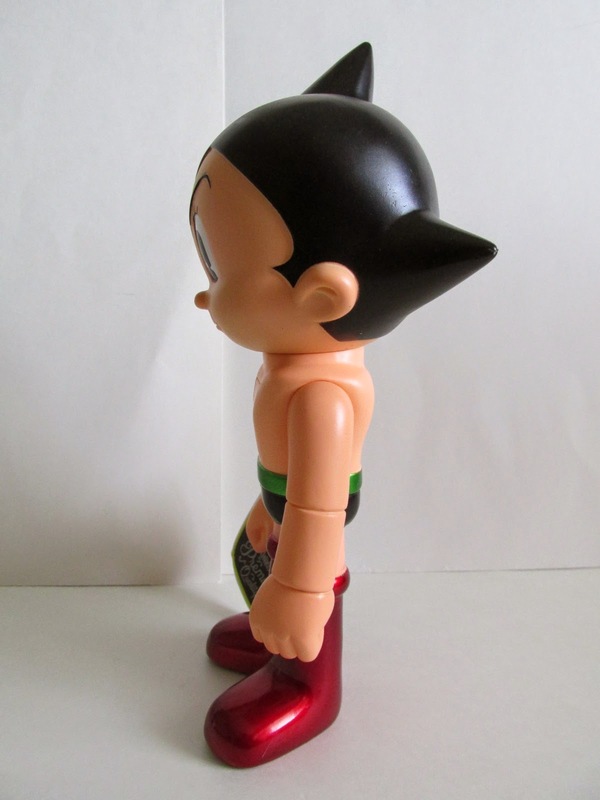 As with other figures in this line, Astro Boy has and will come in many different color schemes. 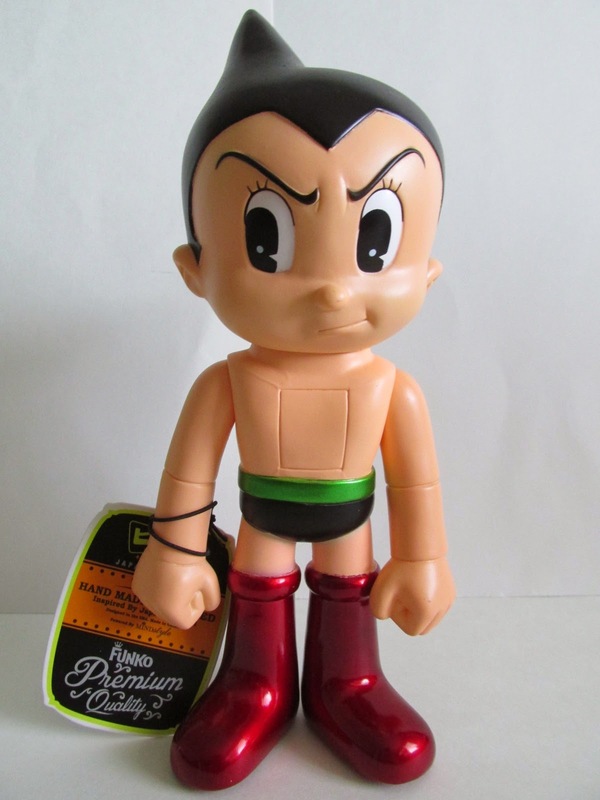 This Classic Metallic Astro Boy is essentially the classic colors of Astro Boy, and you can never go wrong with the classic look of a famous character. 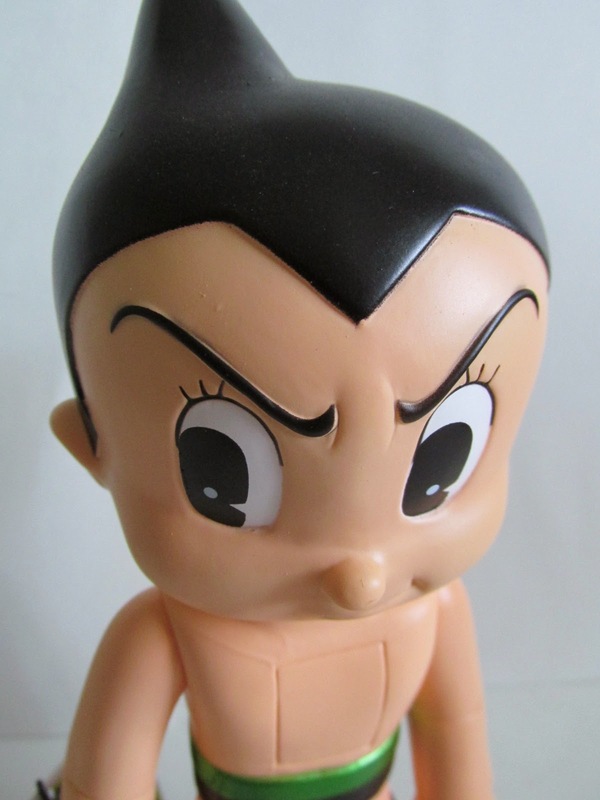 Unlike the Spider-Man’s, Astro Boy is much smaller and feels much more solidly built. Not only can his head move, but also his arms can move up and down. You can’t get them all the way up, but it is still a nice addition. 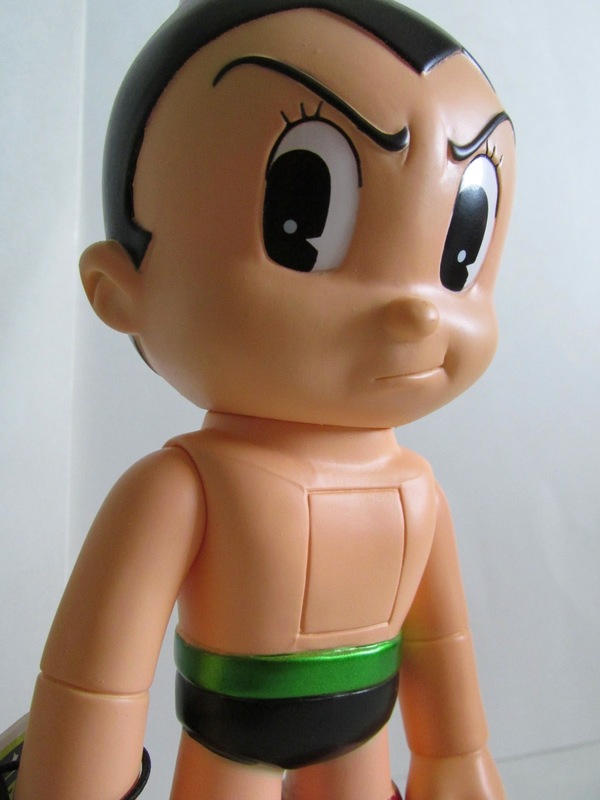 Paint wise he is done in the classic look we all know Astro Boy to be. His belt and boots are painted in metallic colors. There are no unusual or flashy paint apps, and it’s awesome to get a classic, non-crazy version of a character. The only flaw that really bugs me is he is slightly off balance. It seems the feet are not entirely flat and he kind of rocks backwards. He can stand…but I recommend standing him on a completely flat surface. I placed him on a two-folded pieces of paper, and he was struggling to stand. 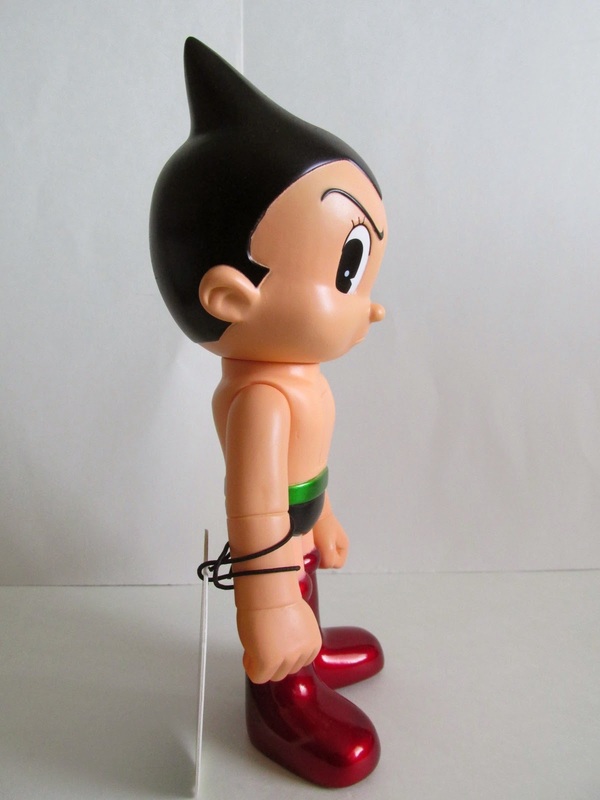 I’m sure in the future we will get all kinds of different versions of Astro Boy, but this version of the figure is either hard to find or sold out. 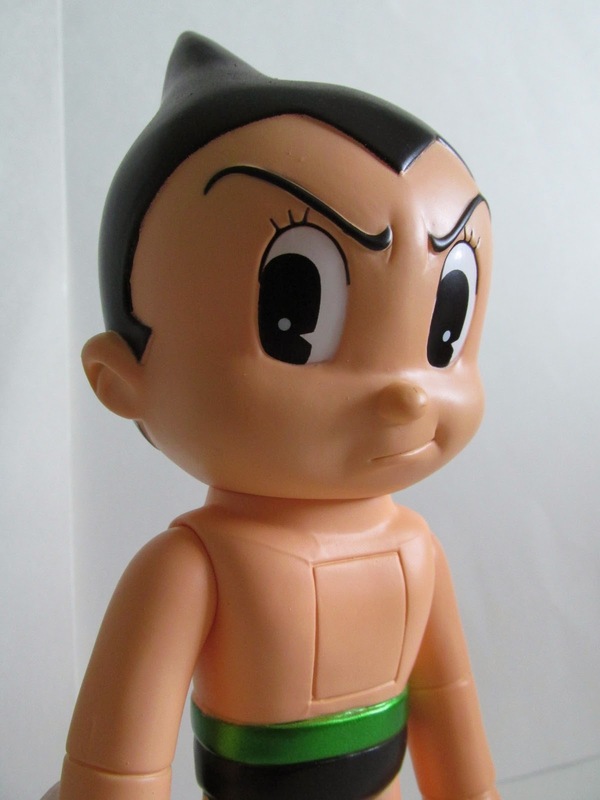 Keep your eyes peeled though because I’m sure we will see more of Astro Boy from Funko Hikari.